Toyota seems to have a pretty good thing going with its new TNGA (Toyota New Global Architecture) modular platform. From sedans like the Corolla and Camry to SUVs like the RAV4, the company’s latest products are greatly benefiting from it, especially in terms of driving dynamics, safety and efficiency. But what about trucks? As it turns out, Toyota is putting the final touches to a shared platform—known internally as “F1”—for the next-generation Tacoma and Tundra. Officially, the Japanese manufacturer has nothing to announce at this time, but unnamed sources within Toyota spilled the beans to Automotive News. It appears the first truck based on the new platform will be introduced for the 2021 model year, meaning we could see it at an auto show next year. That would likely be the Tundra, which is way past due for a complete redesign as the current generation dates back to 2007 (although a significant update was made for the 2014 model year). 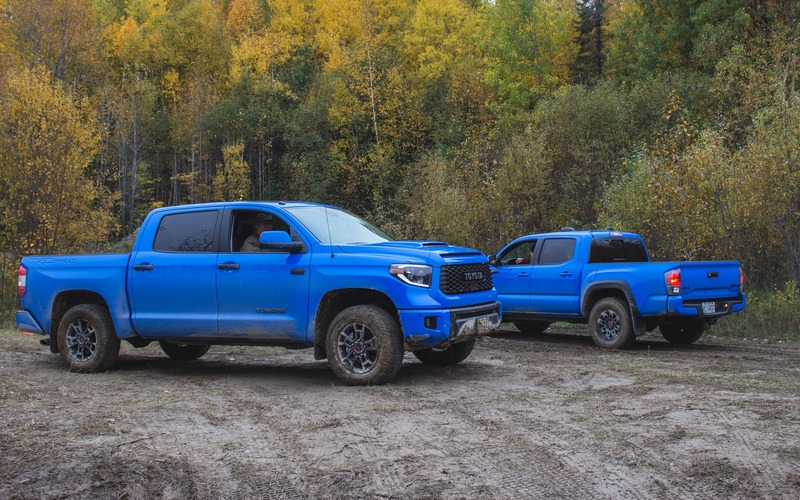 Of course, Toyota will never catch up Detroit’s Big Three on sales charts, but with the Ram 1500, Chevrolet Silverado and GMC Sierra all launching a new generation for 2019, the pressure is mounting heavily. Spy shots of a Tundra prototype have recently surfaced, adding further credibility to the report. The Tacoma, meanwhile, received a full overhaul for 2016 and a mild refresh for 2020 was presented at the Chicago Auto Show earlier this year. Building the Tundra and Tacoma on the same architecture would definitely help Toyota reduce costs at its San Antonio assembly plant in Texas, where both trucks are manufactured. Also, keep in mind that the Sequoia full-size SUV currently shares its underpinnings with the Tundra, which means a brand-new version of that model could be introduced in the near future, too.